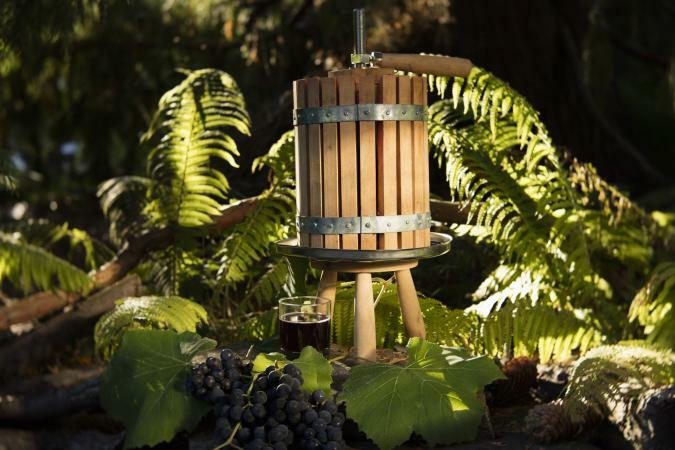 If you're just getting into home wine making, or looking for tools that will help advance your production yields or help you become more efficient, consider purchasing a wine press. You might assume these are for large professional wineries, but there are a number of options geared more to the small producer or home winemaker. A wine press is a key element in the actual winemaking process. It is the tool, or device, that extracts the juice from the crushed grapes. There are four basic styles of wine presses; however, for home wine makers, there are really only two that you need to know about: the basket and the bladder press. One of the earliest styles of wine presses, a basket press utilizes a large plate which is lowered into the basket of grapes. The pressure from the plate forces the grape juice through the slats of the basket. Typically, a screw type mechanism or hydraulic power is used to create the pressure. Amazon: If you're an Amazon Prime member and hope to save a few dollars on shipping, you can find the Weston Fruit and Wine Press with a cast iron ratchet. It only has a 15 liter capacity that makes about 3 gallons of juice, but it's also only $250, better for a hobbyist wine maker. It can also press other types of fruit like pears and peaches. EC Kraus: EC Kraus has a number of wine making supplies, including a double ratchet wine press, good for making up to 30 gallons of wine at a time. It's around $475, with free shipping to 48 states, and it's made by Marchisio S.p.A of Italy, a well-known producer of winery equipment. 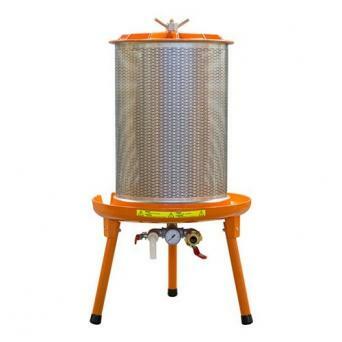 The Vintner's Vault: The Vintner's Vault has a selection of wine presses, including various manual-based ratchet press basket presses ranging from a 20 cm basket for just over $275 to a 55cm one that retails for less than $900. Like its name might suggest, the bladder press uses an inflatable rotating bladder that inflates and crushes the grapes along the side of a cylinder. Small holes in the cylinder push the grape juice out for fermenting. More Winemaking has a selection of German Speidel bladder presses that work using water pressure from a household garden hose. They range from a 20 liter bladder press for about $800 all the way up to a 180 liter one for $2,740. Amazon also carries these types of presses. For large wineries or ones that need to press a significant number of grapes at a time, you may find the horizontal screw press. Similar to the basket press, it applies pressure to the grapes using large plates that are on the sides of the container, rather than at the top like the basket press. The other press is the continuous screw press. You'll find these most commonly used in large factories churning out massive quantities of bulk wine. 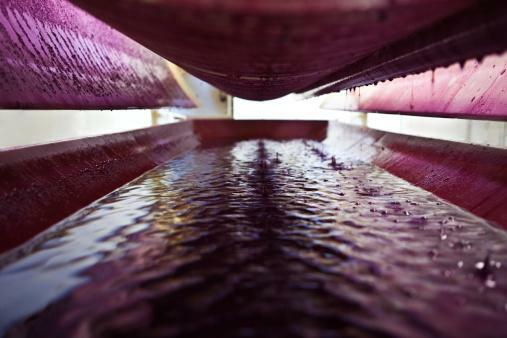 While the terms crushing and pressing may seem interchangeable, there is a difference in the role these terms play to steps in the wine making process. When you think of crushing grapes, you might have a visual in your head of wine festivals where people are stomping grapes with their feet. This isn't necessarily the most sanitary way to crush wine grapes -- or the most efficient -- by today's standards, but it was a traditional method back in the day. It is still common practice in some wine making regions, and it does take hours for the workers to stomp the grapes. Crushing grapes is where the grape skins are broken and the juice comes in contact with the skins, pulp, and seeds, allowing it to absorb flavor, color, and the tannin structure. This is where you get the deep red color in your favorite Cabernet Sauvignon or that subtle earthiness from the terroir in a beautiful Pinot Noir. Pressing is what happens next and physically separates the juice from the solids. In some cases, you'll find wineries that use a machine that works as both a crusher and a press, especially if they don't want to the wine to macerate with the skins at all. This allows the highest quality juice to run from the pulp and seed. Ask yourself what size of wine press you need. How much wine will you be making? If you get one too big, you may never fill the basket, or one too small may mean spending too much extra time pressing grapes. You still need to crush the grapes before you use a wine press, so you may want to opt for a wine press that offers a discount or special combo deal for a crusher and wine press together to save some money. Automated or more manual labor? Using a hose-based bladder press for example is far less strenuous than a ratchet-style basket press. Ask yourself in the long run which will be more effective for your home wine making needs. Don't be short-sighted on what you can do with your wine press. Do you happen to have a large garden with other fruits? Lots of other fruits are great to run through a wine press, so if you have tons of blueberries growing, you may want a bigger press after all. And, lastly, don't forget to use your press properly. While some stems may be ok to get through, they do create a more tannic wine and leave sediment in your bottles, potentially giving your wine an astringent taste. You can remove stems by hand, or you may even want to invest in a grape de-stemmer, which typically also works as a crusher. Additional tools and machinery like de-stemmers and crushers aren't necessarily inexpensive, but if you plan to produce more than just a few bottles of wine at home, streamlining the entire process can make for a far more productive and less-stressful wine making experience. Once you have selected the right wine press, you're ready to start making your own wine. Remember to read the instruction manual before you start for optimal wine making success.